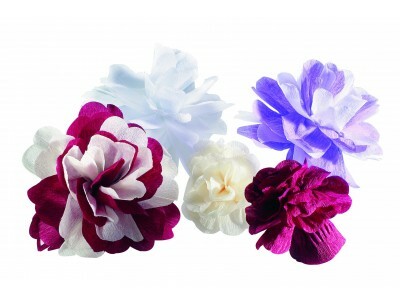 Wedding Decoration : Find at Deco Party UK original crepe flowers. Give colors to the most beautiful day of your life! You can use as a table decoration or hang from branches of trees. Choose colour you would like! 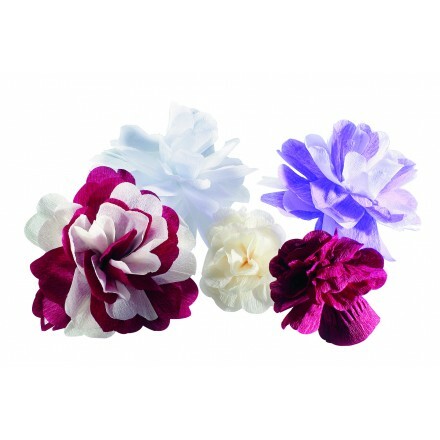 crepe flower diam.2,5inch/ 60mm pack of 25, 20 different colours available.